Jackson and West Tennessee are the perfect place for a Girls Weekend Getaway! From shopping to wine to massages, we have all the stops for an amazing weekend! Jackson TN Weekend, #JXNTNWKND, next visit on our itinerary is Mam’selle! For over 45 years, Mam’selle has been interpreting the lifestyles and interests of their guests through unique collections of apparel and accessories. Shopping there is like entering the closet of your most fashionable friend. Their specialty is hand picking and perfectly packaging an assortment of pieces tailored to their clients’ style. 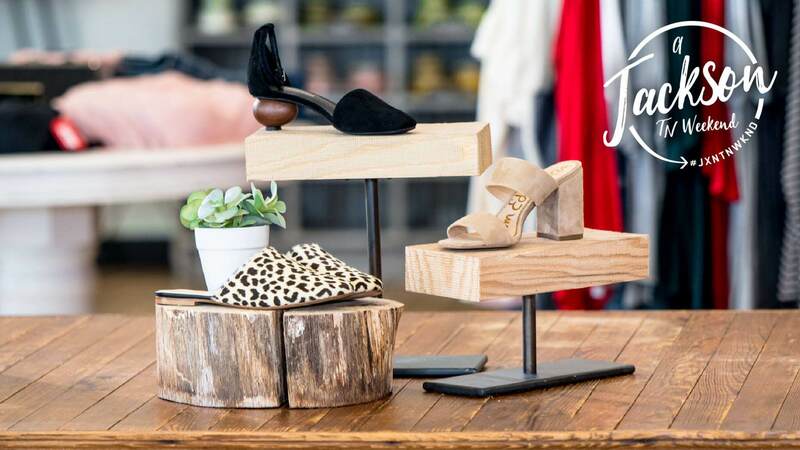 Visit Jackson TN takes you inside one of Jackson’s favorite shopping destinations at 1348 Union University Drive. Click here to view the episode!